SCHYULERVILLE-New York Army National Guard Staff Sgt. Artem Feldman holds the flag as it is folded during a funeral service for Pfc. John Martin, Schuylerville, N.Y., Dec. 2, 2018. 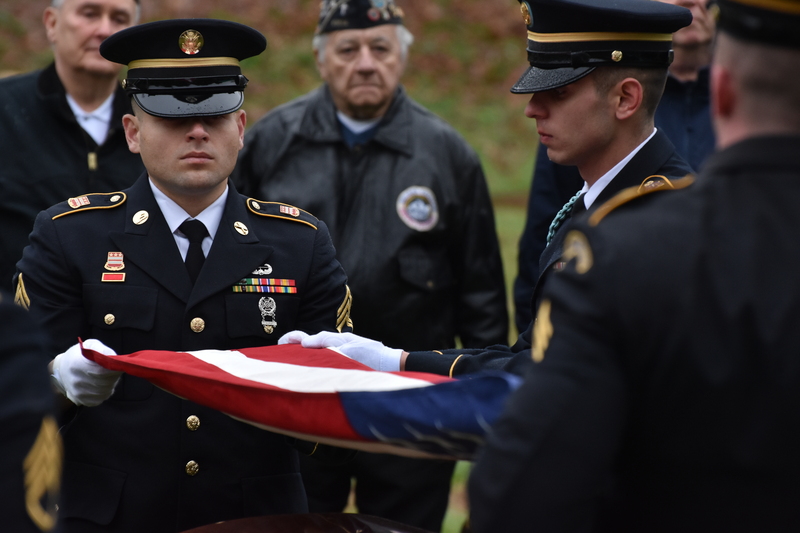 Martins remains were being laid to rest after being missing in action from the Korean War.